USSA Cricket Tournament kicked off this week in Pretoria. WITS CRICKET Club played in the University Sport South Africa (USSA) Cricket tournament this week which was hosted by University of Pretoria (Tuks). USSA Cricket week allows various university cricket teams affiliated with the controlling body of sports, to participate in the week long tournament. “We have two annual tournaments. USSA ‘A’ Week consisting of 16 institutions and USSA ‘B’ Week consisting of 10-12 institutions,’ said USSA Cricket chairperson, Riaan Osman. He explained that the tournament “serves as a qualifier for the Varsity Sport T20 competition held annually in January and February each year.” At the end of the tournament, the top eight institutions qualify for the T20 competition, he added. Wits cricket coach, Garnett Kruger, said the tournament is important for the Wits Cricket Club as it brings exposure to the players. “Varsity Cup is being played on television, so in terms of these players furthering their careers, it [the tournament] is a good stepping stone.” Not only is it important for exposure but the tournament is important for Wits’ place in the Varsity Cup, according to Kruger. Wits played during the ‘B’ Week. They played against Rhodes University on Tuesday, October 3, at Sinovich Park in Sinoville, Pretoria. Ridwaan Daya took five wickets for 23 runs in 10 overs, while captain Liam Lyle Peters had 102 runs, not out. In the end Rhodes University were all out for 172, as Wits won the match by six wickets. 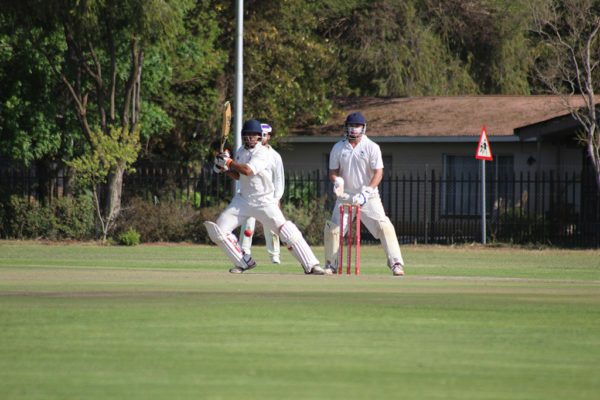 On Wednesday, October 4, Wits played against Central University of Technology (CUT) at Tuks B field, with Wits all out for 180 after their opponents posted 240. Wits lost the match by 60 runs. “The game was a big positive for the team. The results have been positive and this excites us because we haven’t yet performed to our greatest potential as a team,” Peters told Wits Vuvuzela after Tuesday’s game. The final matches will be played throughout Friday, October 6. Wits University finished fourth in the tournament.